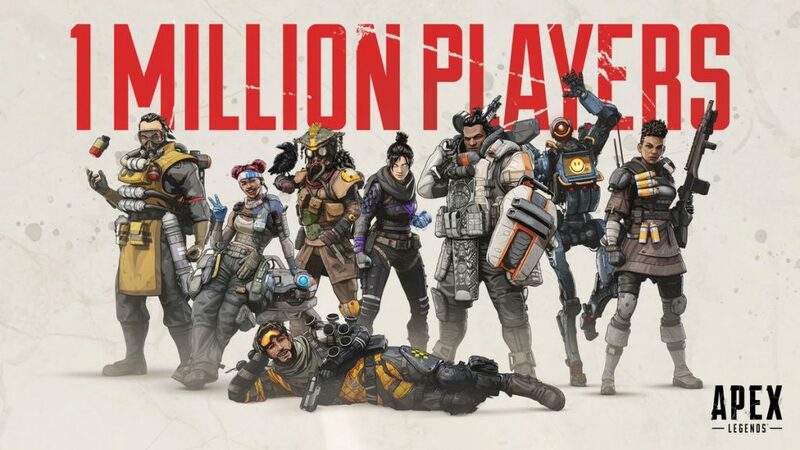 Apex Legends has been out less than 24 hours and Respawn have already reported that they have hit 1 million unique players within the first eight hours of launch. Commenting on Twitter, Vince Zampella, CEO of Respawn Entertainment confirmed the milestone. Apex Legends was a surprise launch by the Titanfall development team and is their take on the popular Battle Royale mode with Hero Shooter elements set within the Titanfall Universe. It is completely free-to-play with options to purchase cosmetic items.